​ ​As dental technology has advanced over the last several decades, many new treatment options have become possible when it comes to replacing missing teeth. Perhaps the most important of these developments in recent years is the implant. A dental implant is a prosthetic tooth that is embedded into the gum, making it more secure than many other tooth replacement options. It is composed of three components: the implant, abutment and crown. When a person is missing a tooth, the implant component, which is typically made from titanium, is secured into the jaw bone. This part of the procedure is usually performed by an oral surgeon. The piece that is embedded into the jaw plays the role of the roots that should be in that space. The area of the gums then heals around the implant, holding it in place. The bone itself will even grow around the metal, which lends strength to the piece. After about two months, the implant is tested to ensure that the bone has healed around the titanium post. Assuming the piece is stable, a crown is placed on, either using a glue or screwing it in place. An abutment connects the two pieces and provides support. Strength: When you have an implant, you don’t need to worry about breaking the prosthetic tooth when you bite down as you might with a traditional bridge. This replacement method is extremely strong and will allow you to eat as you did before you lost your natural tooth. Longevity: The natural grinding of your teeth when you chew can cause wear over time, especially with some synthetic materials. But implants are able to withstand this pressure effectively, even over long periods over the time. Implants are meant to last for life, but you may need to replace the crown every 10 to 15 years, depending how well you take care of it. Bone support: When you lose a tooth, your bone in the area can become less dense, causing a number of oral health problems. However, an implant can help prevent bone loss by stabilizing the area and maintaining the shape and density of your jaw. Aesthetic appeal: While the functionality of an implant is important, it’s also understandable to want your smile to look as natural as possible. One of the major advantages of the method is that the prosthetics appear exactly like the original teeth that they replace. Your smile will look completely natural! When it comes to replacing a tooth, an implant is not your only option. Bridge: A bridge is a fixed dental replacement that is attached to adjoining teeth. Because a bridge depends on having two healthy teeth on either side, it’s not always a feasible option. And since the procedure typically runs between $2,000 and $3,000, you don’t save much - if any - money choosing it over an implant, especially since you could lose the whole bridge if any issues start to arise with the neighboring teeth. 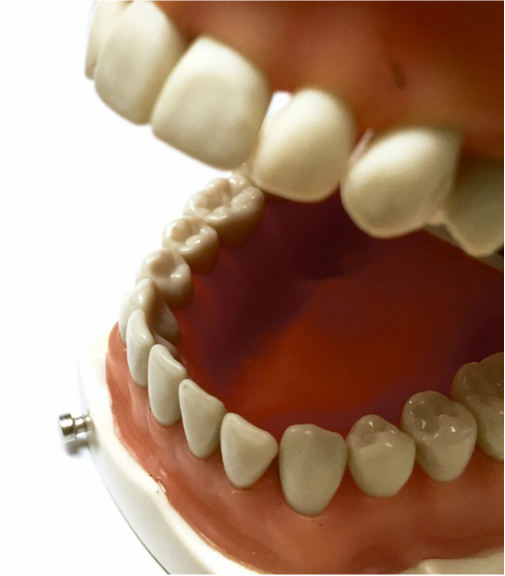 Dentures: Dentures are false teeth that are typically removable and take the place of full sections of teeth. The downside of dentures is that even when they’re made with extreme care, they can irritate your gums or palate, and your ability to chew will likely decline. While the final decision is your choice, depending on your oral health, the strength and reliability of an implant may be the wisest option. Like any dental procedure, an implant is an investment. The procedure usually runs around $2,000 to $4,000 per tooth. But the price tag shouldn’t keep you from making the best decision for your dental health. At our office, we’ll work with your insurance carrier to help you figure out how much, if any, you’ll need to pay out of pocket. At that point - or if you don’t have dental insurance at all - you’ll have the option of taking out a dental loan through Care Credit, a financing company that we accept. We’ll do our best to find the individualized financial plan that will best fit your unique needs. We would love to help restore your smile! Call today at 530-246-1188 to schedule an appointment so we can discuss your options.